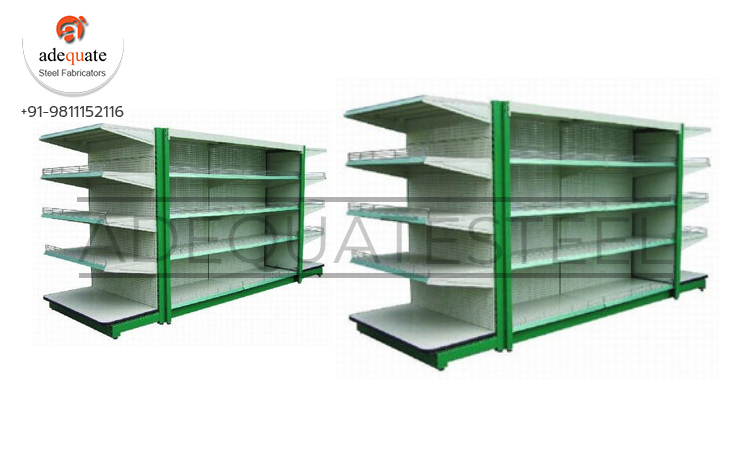 Manufactured and constructed with heavy duty steel components, super market racks from Adequate Steel make solid, highly durable and versatile racking systems that can suit the need and requirement of any merchandising unit. Amongst the many racking systems that are on offer from Donracks, retail racks have a special mention among its customers. Supermarket racks end gondolas are the end units to a supermarket center gondola unit. Unlike the usual gondolas, these do not have merchandise holders or shelves on both sides but offer a single side merchandise capability. These feature typically at both ends of a gondola run especially in center units. End displays can be seen with or without the gondola run but are designed very similar to it. Supermarket end gondola racks have a peg board to support the shelves and a firm and solid base that helps in upholding the structure. This offers a strong and versatile display option. Each of these shelves has sturdy, slim and multi-position steel brackets that offer the flexibility of using these standard modular shelves for multiple merchandising applications.